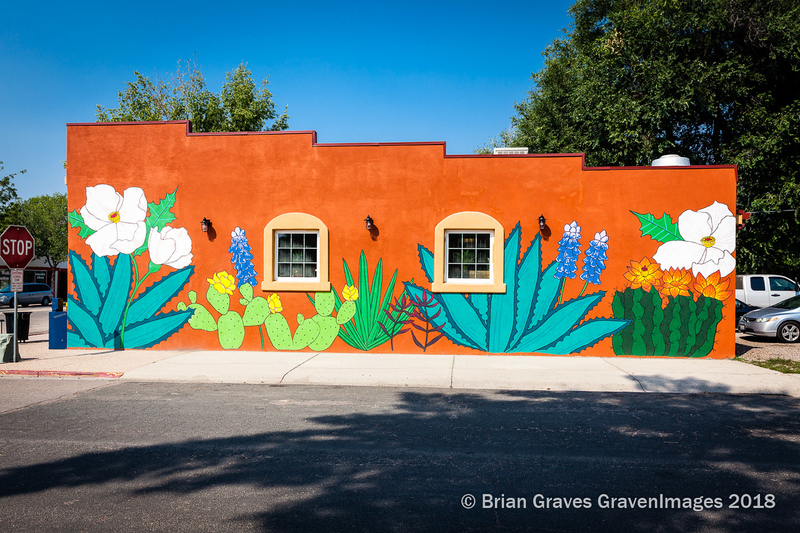 This mural was created on the side of the Sol De Jalisco building in downtown Wellington this summer. Photo courtesy Brian Graves. WELLINGTON — The town of Wellington has added murals to the downtown area as part of its beautification program. Wellington Main Streets Program is a nonprofit organization with a mission to promote, enhance, and develop downtown Wellington. 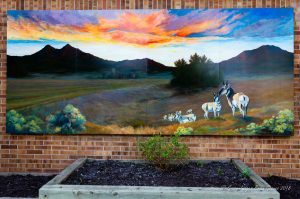 Using grant funding, sponsorships and donations, the organization has added murals. 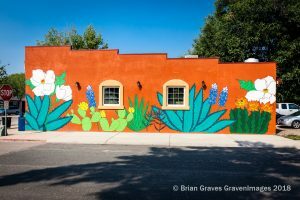 A mural on the Sol De Jalisco building was completed in early August. This artwork, which resembles a mural but is actually moveable, is displayed on the side of the Wellington town hall. Photo courtesy Wellington Main Streets Program. Joe Hamman, who grew up in Wellington and is now a fine arts major at Lesley University in Cambridge, Mass., was home for the summer when he volunteered his time to paint a mural. Commercial Coatings Inc. donated all the paint and materials for the project. The owners of Sol De Jalisco, Myrna and Jesus Rodriguez, offered up the east wall of their restaurant for the painting. Hamman had the help of his girlfriend Maddie Reiber, his sister Grace Hamman, and his father Mayor Troy Hamman, as the family worked together to complete the mural over a two week timespan. In later August, “Our Home on the Front Range,” a 7-foot by 16-foot acrylic painting, was placed on the Wellington Town Hall building. Local artist Shandy Staab‐Daubert of Shandy O’s Fine Art created the painting. The Wellington Main Streets Program Design Committee is working with other building owners and ideas for future mural projects.